A native of Co. Wexford, Áine Moynihan trained as a professional actress in the Abbey Theatre in the 1970s and also graduated in Arts and Education from UCD. She worked as an actress in theatre, television and radio and was a member of the RTÉ Players for several years. She lived for almost a decade on the islands of Inishere and Cape Clear and moved to Dún Chaoin with her husband and two children in the late 1980s. 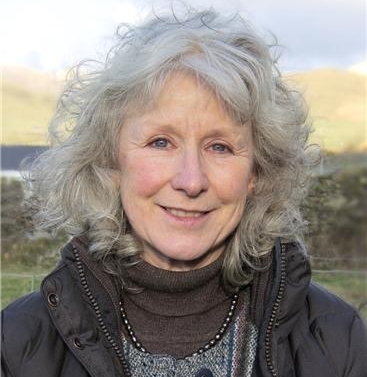 On moving to Kerry she became involved in arts in the community, local radio, adult education and training. She graduated in psychotherapy from UCC in the 1990s, later working in the areas of personal development and psychotherapy. In 2002 she founded a Youth Theatre Company, Anníg (Amharclann na níg, Corca Dhuibhne.) She now divides her time between writing and directing and is engaged in research into actor training.